If you told me that I would enjoy reading a 160 page graphic novel about someone's pre-World War II childhood, I would have been suspicious. It is not the usual type of graphic novel I pick up. 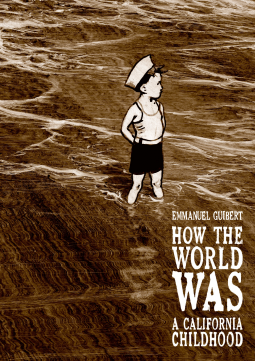 Guibert does a great job of telling the story of his friend's childhood. One of the things that impressed me was the mixture of art styles. Guibert switches between photo realism and a cartoon style with all sorts of stops in between. The opening pages with the highway scenes sets the stage using the photo realistic style. As the story switches to Alan's life story the art becomes more cartoony. It is a difficult job changing styles within a story but Guibert makes it work. In some respects his art reminds me of Will Eisner's more personal work (see "Contract with God" and his later works). That is high praise. Very few artists are able to do this level of work in the same style as Eisner. If you like biographical stories, or are a fan of Eisner's later work, I recommend picking this up when it goes on sale in August.